The italk service has built a new website, this one!! 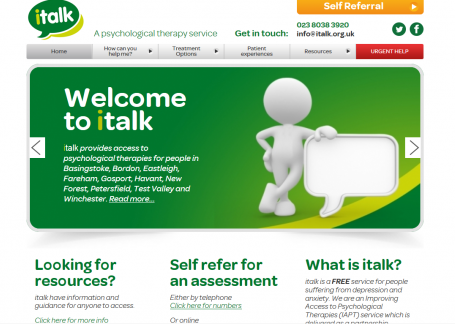 The previous italk website was built when the service was created in September 2010 and since then the service has continued to grow and in December 2013 branched out to cover the areas of Basingstoke, Bordon and Petersfield. The italk service therefore decided that it needed a new website and here it is. Keep your eyes out for more news stories that will feature on this page in the coming weeks.